Ditch the costly prettiness procedures that bring your skin with upcoming harm. It’s time to switch to a more efficient and luxurious budget & effective option! Surprise one and all with your new look using the Skin Tag Remover! 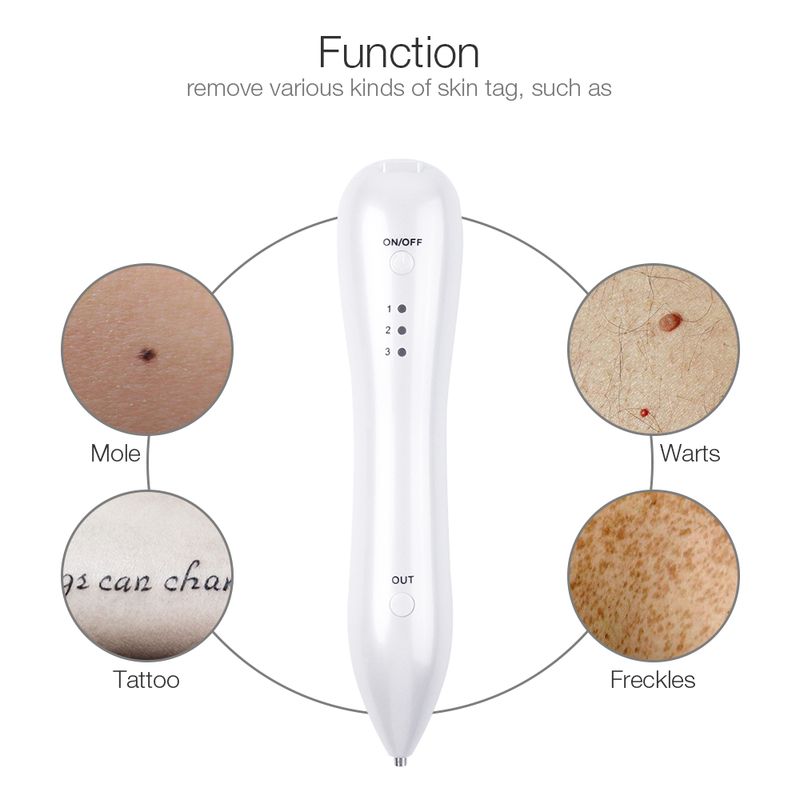 CALM, HARMLESS, AND EASY TO USE: Just push a button and immediately start removing almost any skin tag, wart, freckle, dark spot, pigmentation, nevus, and more. See the magic quickly shedding the damaged layer of skin leaving you with a smooth, soft, and even skin. APPROVED MICRO REGULATOR: nontoxic, firm and suitable for all skin types. PROFESSIONAL RESULTS: Why spend thousands when you can save time and money with your Skin Tag Remover which gives you better result by far from the comfort of your home. Just follow the instructions and you are all set! Safe, portable, convenient and easy to use. Exclusive electric ion technology, the process will not make people feel the existence of an electric current, no bleeding. *It is suggested to test with banana/apple peels if using this equipment for the first time, then continue the treatment after you are fully familiar with this device's operations. *Please keep it well, away from children and people who do not know how to operate this device to avoid danger happening. Wipe the pinhead with alcohol for disinfection and clean the skin as well. Determine speed level: Recommended lower than level 3 to remove the shallow freckle with the small area, above level 3 to remove the bad freckles in the large area. (Do not pierce the skin during the use process). Gently sweep at the freckle back and forth and do not keep the needle at one spot for more than 10 seconds. Keep cautions while using it on a very thin skin layer. Keep charging every 3-4 months when not in use for long battery life.